This old Fiber Stream restoration is quickly moving along. 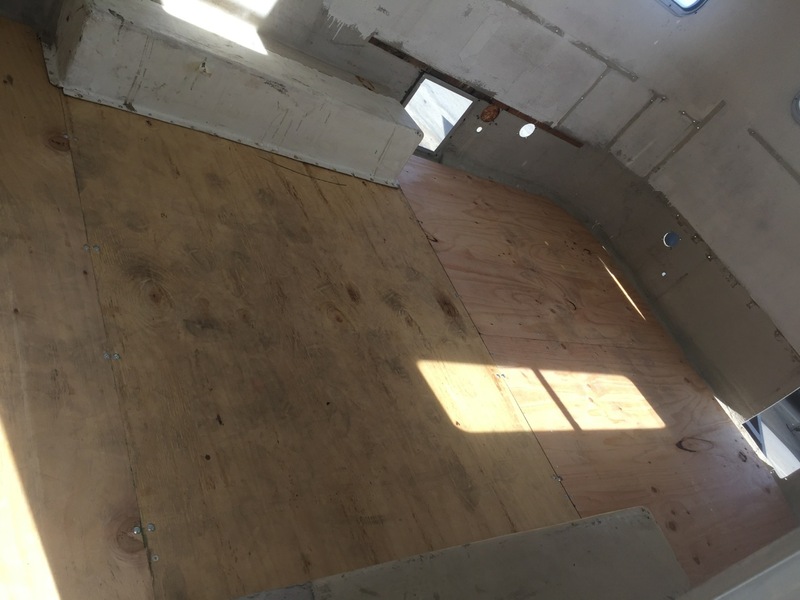 These photos are showing new plumbing, electrical and sub-floor. 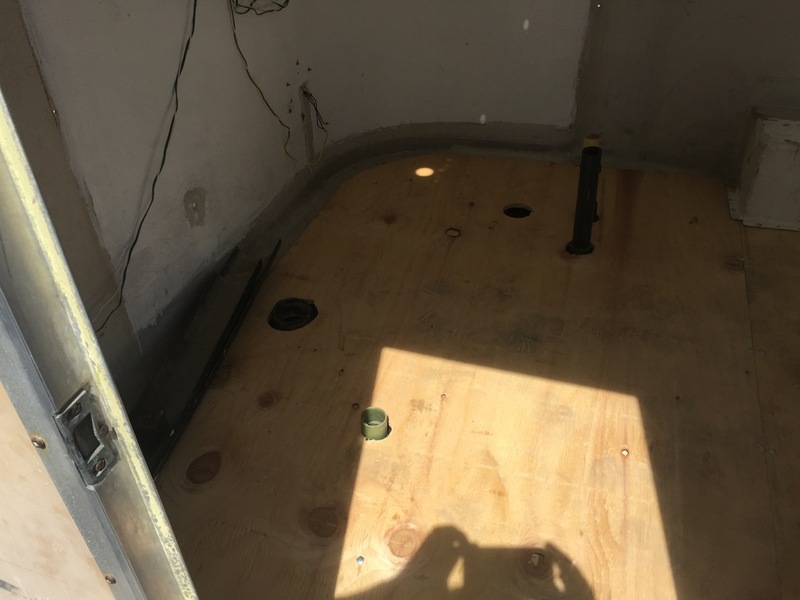 The fiber glass shell received a few repairs and was then coated inside with fresh all-weather sealant. 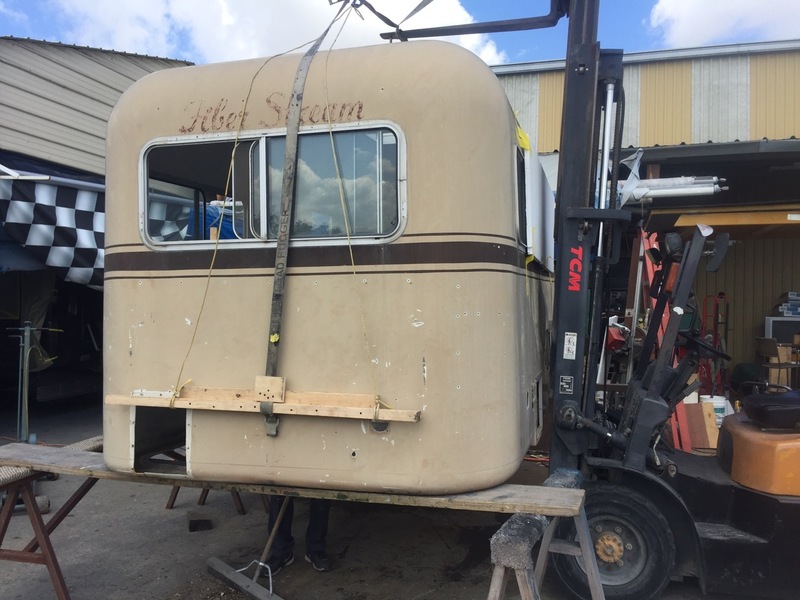 Almaden RV is restoring this old Fiber Stream trailer. It’s a big job requiring the separation of trailer from its trailer frame. The frame will be sand blasted, welds checked and repaired, rusted parts replaced and then painted. The axel and brakes are fairly new, but all of the plumbing will be replaced. The shell will be sanded, prepped and painted. All of the interior will be replaced and upgraded to modern standards. 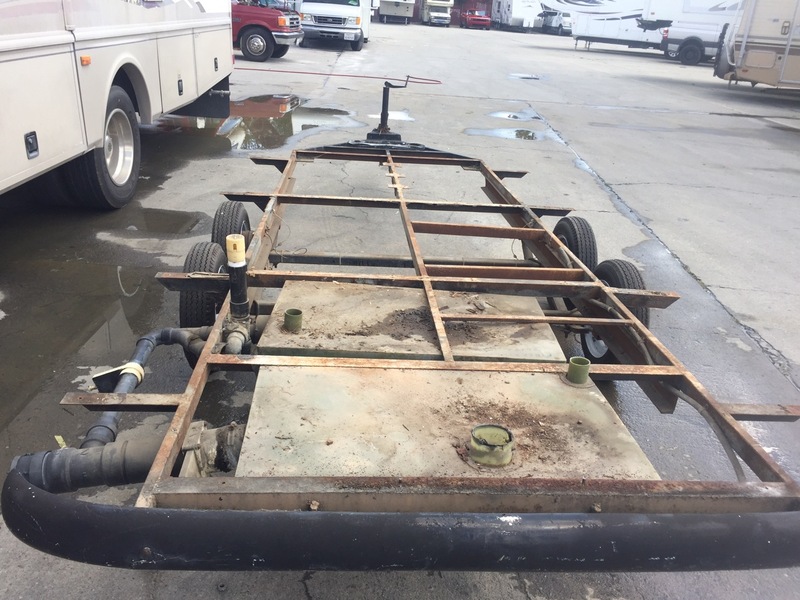 We’re looking forward to posting pictures of what this completed frame up trailer refurbishing job looks like! The driver of this Class C accidentally backed into a tree stump. Fortunately the damage was not too great, but a bit of unexpected damage was found underneath. Almaden RV has many years of experience working with Insurances Companies and is most often recommended by them for all RV repairs. 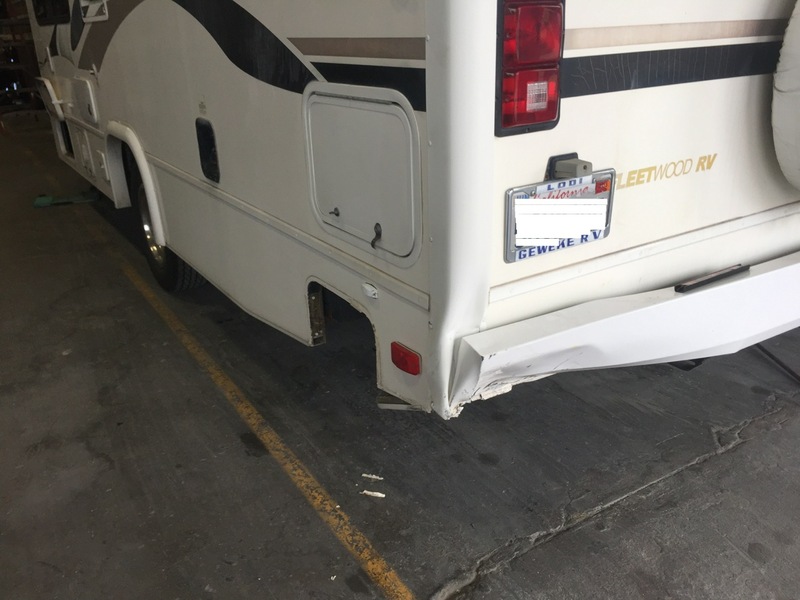 The good news for this Motorhome owner is their insurance covered all repairs necessary to bring their home on wheels back to perfect condition. 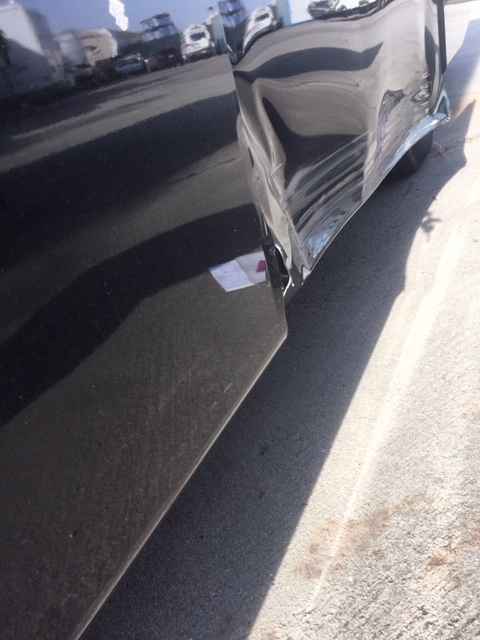 The driver of this Coach misjudged the distance of a cement pillar when turning right and seriously damaged a cabin door. Some RV Body & Paint shops will order a new door from the manufacture, but this will often take several months to receive. 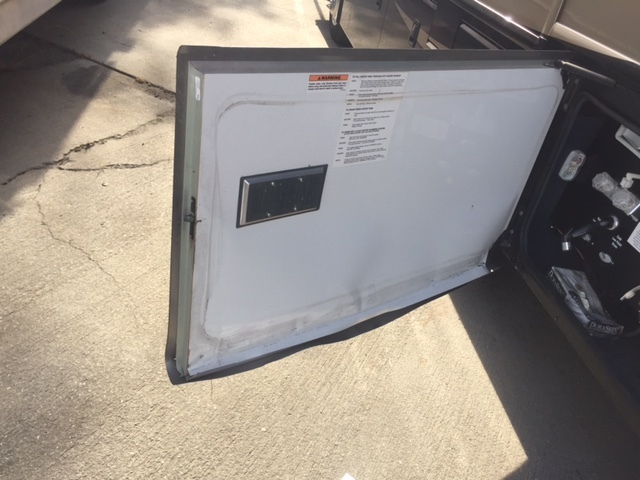 So at Almaden RV damaged cabin doors are either repaired or fabricated to manufacturer specifications. Stay tuned to see how beautiful the repairs and fabrication turns out!